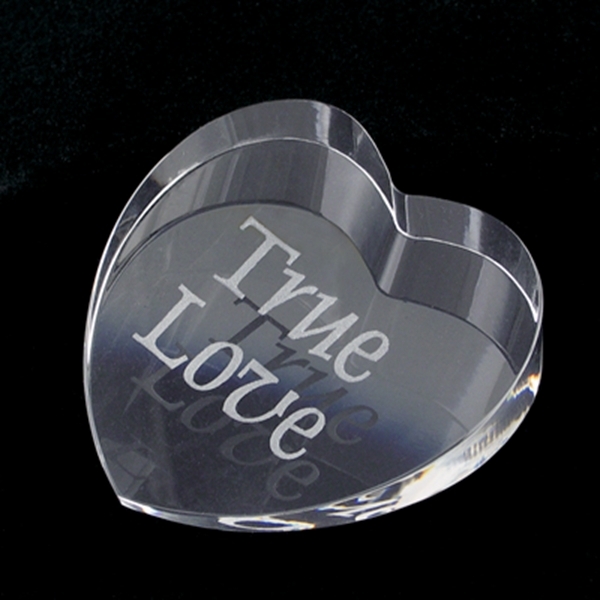 The Crystal Heart Paperweights are a clever gift idea for that one-of-a-kind friend or sweetheart. Generously sized to blaze in the light and refract brilliant rainbows; the Crystal Heart Paperweight will laser engrave a frosty white color providing excellent contrast. These Crystal Paperweights arrive in a beautiful satin lined gift boxes for a truly beautiful presentation!